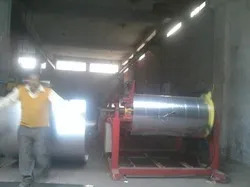 Manufacturing and Trading of Air Attenuator, Flexible Bellow etc. 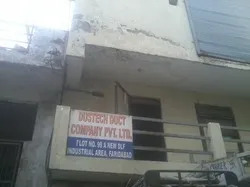 Roots of "Dustech Duct Company Pvt. Ltd.", the industry leading Manufacturer and Supplier firm of Piping and Ducting Products are dated back to the year 2013. 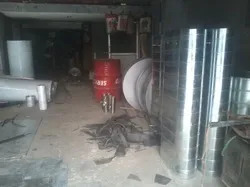 From our modest beginnings we have remained as an important part of the global industry by presenting a wide assortment of innovative products, which includes Rectangular Duct, Oval Ducting and Piping and Spiral Duct. Our products gained us worldwide recognizance for its comprehensive benefits of unique designs, international standard manufacturing, robust mechanism, all-weather performance, trouble free operation and competitive pricing structure. Our dedicated approach and improvised business models equip us to anticipate the ever changing needs of our reputed clients from diverse industrial and commercial verticals. Thereby, we implement advanced technology to design products with innovative features for absorbing dust and noise levels. We have updated our work set up to harmonize our production efficiency with soaring global needs of our products that are reviewed multiple times during production and distribution phase. Besides, our modernized R&D centers and in-house manufacturing base underpin our accountability to deliver unmatched quality products within the agreed time frame. This indeed empowers us to attain our vision of being a partner of choice for industry proven designs of grills and ducts. "Mr. Gagan Gupta", is backed with extensive industrial expertise, which instills a sense of accountability and collaboration in every team member. His vigilant guidance is our key to uphold highest levels of customer satisfaction and stature of leading heights. Since the beginning we are dealing with the challenges of unrivalled performance with our adherence to the strict norms of quality. In order to assure our international clientele about the standards of our products we have developed a rigid quality policy to verify the design, finish and performance of the finished grills. Moreover, we partner with credible entities to source best suited inventory of raw materials that showcase our emphasis towards quality assurance. Our well integrated infrastructure comprises of technologically adept people and business processes that are backed with high speed machinery and cutting edge technology. Our work set up is sprawling across a large and constantly upgraded to synchronize with the evolving client needs. Further, our manufacturing base defines our standard for precision and unrivalled performance of our product offerings which are developed and tested at the hi-tech production and testing units. Our company is staffed by an efficient team of expertly skilled professionals whose chase for innovation becomes the biggest key differentiator for us. Our team comprises of R&D specialists, manufacturing experts, warehouse managers, product development engineers and technicians, skilled quality management professionals and trained distributing personnel. Every member in our team fosters our end goals of operational excellence to explore consistent growth in this competitive scenario. We are the industry leaders functional with the sole objective to deliver beneficial product range to our clients. We strive to promote our clients’ business by developing unmatched quality grills featuring innovative design and assurance of longevity. Our product designs are backed with thorough research and analysis conducted by our trained professionals. 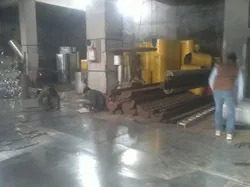 Further, to assure our clients with its fine finish and precision engineered fabrication we invest substantial amount in implementing advanced machinery.